We are seeing the tide which is rapidly moving towards a cashless economy or say digital money. It is really a boost to the economy where mobile wallets are increasing and e- commerce transactions are becoming easier. The benefit from this digital systems can be used to reduce the cash flow. The transparency will be channelized and it will help to build the financial history of each and every one, which will result in the form of financial inclusion. 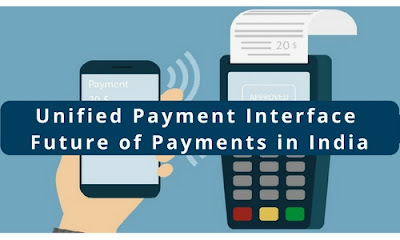 By keeping all these aspects in mind the central bank of India (RBI) has taken a big step in terms of making India a cashless economy as it has launched Unified Payment Interface (UPI) initiated by National Payment Corporation of India (NPCI). 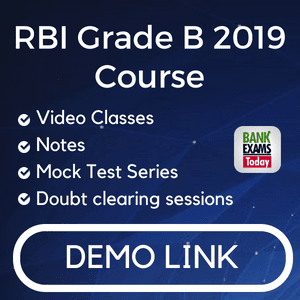 The Reserve Bank of India (RBI) had released a payment system vision during the period of 2012-2015. The main agenda for releasing the vision is to encourage the implementation of a cashless society in our country. The real mission was that the payment and settlement systems need to be secure, efficient and it needs to meet international standards. Against this backdrop, the NPCI was set up to integrate all the multiple systems into a uniform process for all retail payment systems. In the mid-week of April 2016 RBI Governor launched the UPI developed by NPCI. It is a nice initiative to introduce UPI to make it easier and to provide a single interface across all systems. As of now 21 banks are implementing this UPI app. It is a type of payment system which allows easy and quick transfer of money between two parties. This interface will integrate the entire payment systems in India. It uses a single application programme interface with a series of Application Programme interface (API’S). The mobile devices are the primary object for all the payments. It is a payment system which allows the transfer of money between two bank accounts by using a smartphone. A customer will be paying directly from a bank account to different dealers both online as well as offline. There is no need of typing any card details, IFSC code or any passwords. It is a type of payment system which is like the existing NEFT, RTGS etc. UPI includes transactions such as bill payments, remittances, merchant payments etc. In this digital era, every one of us is having smartphones. Each and every user with android phones can download the UPI from Google Play store. After the installation process, you need to set up the app login and then create a virtual address, add the bank account and then finally set a mobile pin (M-Pin) and then start using UPI. The transaction limit is 1 lakh. It is the most innovative idea or we can say it is the heart of the UPI we generally make payments by using card details such as card number, CVV etc. Typing these numbers in a mobile is not a hassle free and to solve this problem, UPI has come up with an idea of the virtual address. It will be in the form of ‘bankexamstoday@idbi’. There is no need of furnishing any other details. Payment systems should be simpler. Transfer of money should be done with just an identifier without having any complex details to hand. It should be done at a simple click. Innovation is a major aspect. Both the payer and payee shouldn’t face any difficulties. The solution needs to have strong and efficient data protection. The adoption of this app needs to be scalable to a billion users and even large scale adoption also. In the coming 5 years, the number is expected to rise 500 million users of smartphones. So the solution should be channelized in a proper mechanism to take full advantage of that. For Example, if a user wants to make payment to the commercial store, he can simply tell his virtual identity to the cashier the cashier will generate an invoice in UPI and the user approves it using his smartphone. In this process, the payment will be made.  UPI works only on the mobile interface.  Some banks have integrated UPI with the existing apps and some have included a new one.  Users can send money using their virtual ID only. By using the virtual ID only we can do payments. An alert message will be sent so as to authorise the transactions. The UPI will have a significant control over current systems and can take mobile payments to next level. The UPI is supported by the aadhar system. It is based on the unique identification code and it is ensured that each transaction happens between two persons. UPI will create a new ecosystem so that it will offer simpler and instant solutions to the customers.  There will be no entry barriers for start-ups and for small businesses as it will solve the problem of collecting money for products and services. It is a very significant move, as the service can be provided to the merchant with the help of the smartphone at the place of business. It is a big platform for a growing economy like India. There will be no paper money and consumers will not be facing any barriers. 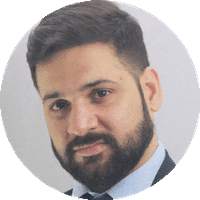 The innovation is becoming a key factor as new players are emerging and entering into the payment landscape, so as to improve the customer experience. NPCI is playing a key role in ensuring the participants to innovate more with the existing systems. The increase in smartphones, universal access to banking in phones provides us with a unique opportunity to maintain an edge over the e- payments and to provide customers with stringent security and unparalleled ease of use.